EDUCATION – ProHair Hair Extensions look and feel like natural hair. 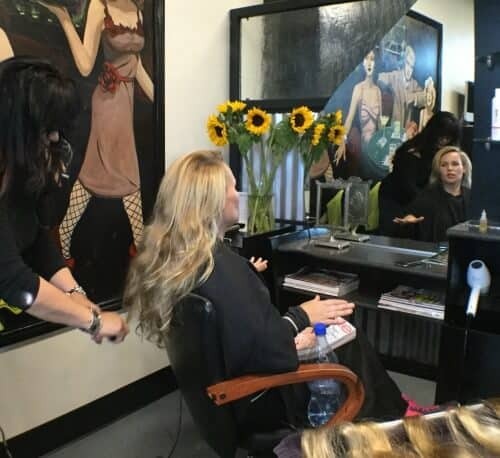 We offer the most comprehensive hair extensions education programs available. 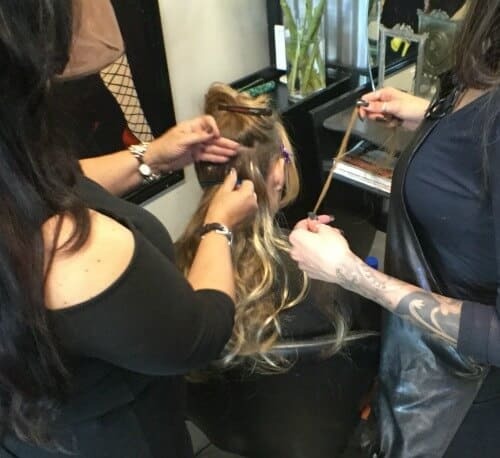 For stylists new to extensions, the New Era course will give you the confidence to successfully introduce the service; you will learn—blending hair extensions, proper placement of extensions, cutting hair extensions, and removing hair extensions. 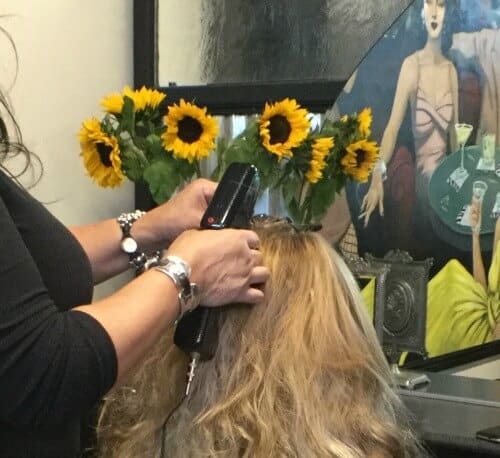 More advanced hands on training covers subjects such as avant-garde, texturizing techniques, and bridal work. A diploma is issued upon the completion of each course. How Do ProHair Extensions Work? The first step is to consult with your client to determine the desired look. Next, you will begin by mixing together two of more colors and/or textures of the ProHair Fiber. Unlike human hair extensions that require glue or adhesive, sewing or weaving to secure, ProHair Fiber Extensions are secured using the ProStyles Professional Heat Clamp; which creates the heat seal from the ProHair Fiber. The heat seal is thin and smooth, and shrinks down and locks the extension around the natural hair at the root area. Using proper placement techniques, the extensions are virtually undetectable, producing natural-looking hairstyles. Removal is easy. Simply twist and fracture the plastic seal and the extension will slide off, leaving no residue or damage to your clients’ hair. There are no glues, adhesive bonds, sewing or painful pulling techniques. Your clients’ hair continues growing with no damage or stress. Our advanced education and techniques give you the skills to transform your clients with one simple service. We offer starter kits suited to your personal needs, whether you are experienced with extensions or new to the service. We offer training at our Atlanta, Georgia venue—or if you prefer, in your salon. Our staff is only too happy to help you choose the option that works best for you. Contact us today to get started with the most profitable service you will offer in your salon. With ProHair, your creativity is not restrained to a limited palette of colors. Watch this video to see our unique brush-blending method that can create any color you desire. Plus, with three types of texture available—Natural, Wavy, and Straight, you can blend the precise texture of your clients’ hair.